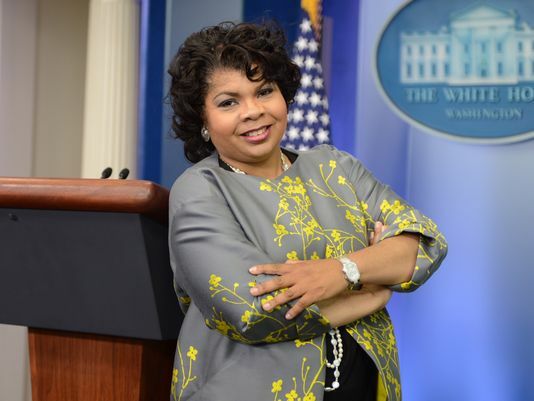 GRAMBLING, LA — February 26, 2018 – White House Correspondent, April Ryan, who is well known for her coverage of presidential administrations and African-American issues will deliver the keynote address at the 2018 Grambling State University Black History Convocation on February 27, 2018. The only black female reporter covering urban issues in the White House and one of only three African Americans to serve on the board of the White House Correspondents Association, Ryan is a veteran journalist who began her White House work during the Clinton era. Since then, she’s grown to become the Washington Bureau Chief for the American Urban Radio Networks and through her “Fabric of America” news blog, CNN appearances and radio content, she reaches millions of Americans weekly. Ryan joins a long list of notable African-Americans featured at Grambling State University events, including Roland Martin, Johnny C. Taylor, and Dr. Frederick D. Haynes, III. GSU’s Black History Convocation is free and open to the campus, surrounding communities, and media. Tuesday, February 27, 2018 | 11:00 a.m.
For media credentials or more information, please contact mediarelations@gram.edu. This entry was posted in Uncategorized on February 26, 2018 by Greta Carter.